The phrase 'healthy lifestyle' is an abbreviated definition of how you should live if you want to get the healthiest body you can—one that both looks good and feels good. You know the obvious behaviors that describe someone who is healthy and takes care of themselves. A healthy person doesn't smoke, tries to maintain a healthy weight, eats healthy foods with plenty of fruits, vegetables and fiber and, of course, exercises on a regular basis. Then there are other elements to add to the list. A healthy person also knows how to manage stress, gets good quality sleep each night, doesn't drink too much, doesn't sit too much—basically, does everything in moderation all the time. When you look at everything that could possibly go into a healthy lifestyle, you can see just how hard all of those things are in our current world. The good news is, you don't have to change everything at the same time. In fact, the trick to healthy living is making small changes—taking more steps each day, adding fruit to your cereal, having an extra glass of water, or saying no to that second helping of buttery mashed potatoes. One thing you can do right now to make your lifestyle healthier is to move more. You know you need to exercise, but there are many excuses not to do it. You're too busy, don't know where to start, you're not motivated or you're afraid you'll injure yourself. Maybe you think exercise has to be really hard or it isn't good enough. Whatever definition you have about what exercise is or isn't, the bottom line is that exercise is movement. Whether it's walking around the block or running a marathon, that movement is exercise and every time you move more than you normally do, it counts. It's great if you can spend time exercising—meaning you're sweating, working in your target heart rate zone, or doing something to strengthen your body. But it doesn't always have to be that way. 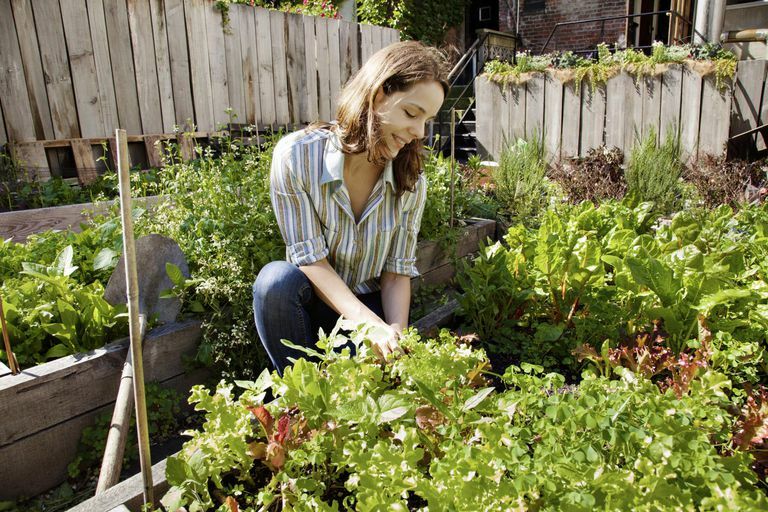 Moderate activities like chores, gardening and walking can make a difference. The great thing about moving is that just a few minutes a day can have lasting benefits, many of which you may not even be aware of. Even if you opt for small changes and a more modest weight loss, you can see the benefits are still pretty amazing. The Centers for Disease Control and Prevention notes that if you are overweight, reduction of 5 to 10 percent of your total body weight can help lower blood pressure, cholesterol, and blood sugar. In fact, you don't even have to have a goal to lose weight, especially if you have trouble sticking to a program. Why not focus on being healthy to start and worry about the weight loss once you've got some healthy habits under your belt? You can start the process of being healthy and now by adding a little more activity to your life. If you're not ready for a structured program, start small. Every little bit counts and it all adds up to burning more calories. Turn off the TV and computer. Once a week, turn off the TV and computer and do something a little more physical with your family. Play games, take a walk, do almost anything that will be more active than sitting on the couch. Walk more. Look for small ways to walk more. When you get the mail, take a walk around the block, take the dog for an extra outing each day, or walk on your treadmill for five minutes before getting ready for work. Do some chores. Shoveling snow, working in the garden, raking leaves, sweeping the floor—these kinds of activities may not be vigorous exercise, but they can keep you moving while getting your house in order. Pace while you talk. When you're on the phone, pace around or even do some cleaning while gabbing. This is a great way to stay moving while doing something you enjoy. Be aware. Make a list of all the physical activities you do on a typical day. If you find that the bulk of your time is spent sitting, make another list of all the ways you could move more—getting up each hour to stretch or walk, walk the stairs at work, etc. Eat more fruit. Add it to your cereal, salads, dinners, or make it a dessert. Fruit is also a great snack after work or school to keep you going for dinner. Sneak in more veggies. Add them wherever you can—a tomato on your sandwich, peppers on your pizza, or extra veggies in your pasta sauce. Keep pre-cut, canned, or frozen veggies ready for quick snacks. Try a healthy salad dressing. If you eat full-fat dressing, switch to something lighter and you'll automatically eat fewer calories. Eat low-fat or fat-free dairy. Switching to skim milk or fat-free yogurt is another simple way to eat fewer calories without having to change too much in your diet. Make some substitutions. Look through your cabinets or fridge and pick three foods you eat every day. Write down the nutritional content and, the next time you're at the grocery store, find lower-calorie substitutes for just those three items. Creating a healthy lifestyle doesn't have to mean drastic changes. Making small changes in how you live may seem like a slow process, and it is. You may adapt to change better when it doesn't require you to overhaul your entire life. Just pick one thing and work on that one thing every day, letting the rest of your life and habits stay the same. You may be surprised that those small changes really can make a difference. Losing Weight. Centers for Disease Control and Prevention. Physical Activity for a Healthy Weight. Centers for Disease Control and Prevention.